The eighth plenum of the 1st Central Committee of the Proletarian Party of East Bengal held successfully. All the members of the Central Committee were present and the Chairman of the Central Committee presided over the meeting. 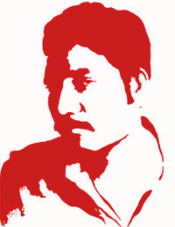 The national revolution aspect is principal in the national democratic revolution of East Bengal. An organization of national character is needed to carry this National Democratic Revolution. As a nation is composed of various classes, sections and religious minorities, so the organization that represents them is or should be of national character. The liberation of the national and lingual minority people living inside the geographic boundary of East Bengal is related to that of the people of East Bengal. Therefore, their representation should be in the organization of national character of East Bengal to include their struggle. At the present era, without the leadership of the class proletariat, various classes, sections and minority people cannot organize them, nor can they bring own liberation. Therefore, an organization of national character that has representative of lingual and national minorities should have to be forged, and under its leadership, national democratic revolution should be carried and completed. The name of that organization of national character is National Liberation Front of East Bengal. If we can properly carry forward party, front and patriotic force, the victory of revolution is inevitable. So, we are taking the decision of forming National Liberation Front. ● The Meeting decides to forge the following organizations. These organizations will work secretly in enemy areas and openly-semi openly in liberated areas. The Meeting appoints particular comrades to organize those mass organizations. With approval of proper level, they will form necessary committees and groups. Every region will organize people in the above-mentioned mass organizations. ● The meeting formed the Supreme Commanders of the Armed Patriotic Force of East Bengal. Siraj Sikder was appointed as the Chairman of the Supreme Commanders and Supreme Commander-in-Chief and Political Commissar of the Armed Patriotic Force. Meeting fixed representative to represent those organizations of the front. After the liquidation of the so-called other Marxists and joining of other leftist revolutionaries/groups in front, independent party activity outside front will not be needed. To put slogan outside party in the name of comrade Siraj Sikder will be adjourned. It will be used as inside party slogan. Those who want to know about party, can be informed that comrade Siraj Sikder is the leader. Other slogans will continue to exist as before. ● Recruit those in various mass organizations who want to join front. Those who are active there, should be made understand the necessity of leadership of party in national democratic revolution. Those should be organized in study circles who want to join party. Thus, party work has to be carried in front. ● Call various patriotic (Secret and open) leftist groups as part of nation of East Bengal to accelerate their national struggle by joining front. ● Try to unify various patriotic classes, sections, fractions, groups and individuals and minority people in front. ● Form regional committee of front in different regions. Appoint people for the organizations of front. Similarly, work should be done in sub-regions and lower levels. 5) (The Central Committee) is able to co-opt necessary members. Do not appoint that comrade to any leading policy-making, security-related or organizational work-related post. On the basis of the above positions, meeting released the comrade from his post of full membership of Central Committee and its related other posts. ● Celebrate Armed Force Day (30 April), International Labor Day (1 May), Party Day (3 June 1973 is the 2nd Anniversary of Party Formation of the Proletarian Party of East Bengal). On the occasion of the Days, the significance of the party history should be discussed. Various levels must carry celebration meeting on that occasion. On the occasion of Party Day, publish summation of past experience of party. ● Situation will not be same in everywhere of the organization. Some areas may be developed, some areas may be backward or medium, in some areas, development is principal while in some areas consolidation is principal, in some areas, armed struggle is principal while in some areas, preparation for armed struggle, retreat may be principal. Yet, each area will work according to own condition by combining it with general line. It is applicable to cadres too. Some cadres will be backward. Each cadre has good and strong aspects while he/she has bad and weak aspects on the other side too. To work without thinking that, is one-sidedness. Consequently, work will be blindly and we shall be disappointed. ● In military field, solving financial problem is central task. Meeting appreciates those regions that took steps to put this decision in action. In materializing that decision, we should sum up the positive and negative experiences of the regions that took steps to put that decision in action, discover its laws and work accordingly so that we can achieve success. ● The Armed Propaganda Team experimentally carried propaganda in an area. It made grand success. Meeting calls upon all the areas to put that in action. Later on, more martyrs will be given party membership on the basis of further investigation. ● The Indian intervention in Sikkim further clarified their expansionist character. ● The problem of money exchange further deepened the crisis of Bangladesh puppet government. People’s wrath and hatred is intensifying in this crisis. It further clarifyingly proves the treacherous act of Bangladesh puppet government to sell Bangladesh to Indian expansionists. ● Petit bourgeoisie are either dogmatist or narrow empiricists. This is why their method of thinking and working is one-sidedness, superficiality and subjectivism. In organization, they are split-ist. In politics, that is, in class struggle, they vacillate in left or right. In writing, speaking and reading, they are stereo type. The above-mentioned points are the various manifestations of bourgeoisie ideology. In each of their work, our cadres must verify them whether or not they commit those errors. If our activities are guided by those petit bourgeoisie manifestations, we shall be foolish and defeated; if we are free from those, we shall be wise and victorious. ● Organizers shall not express opinion on important matters before higher level puts opinion. They should collect own cadres’, sympathizers’ and people’s opinion regarding that and send to higher level. Leading cadres will arrange coordination system with his/her area so that in case he/she loose contact with party for any reason, his/her area does not get disconnected. Take class on leadership and on human relation. We should be very much attentive on developing cadres that are able to be leadership. Organization did not properly realize the importance of the matter in the past. ● Apart from regional subscription, each region will collect subscription for center and special region from own sympathizers. Meeting accepts the call and coupon regarding that. ● It is the duty of the organizers to make policy, utilize cadres and improve their standard. If the organizer run here and there and shows himself/herself busy, it will mean that he/she is inefficient. In this regard, meeting accepts Some Guide for Leadership [Appendix-I]. ● Leading cadres and other cadres must submit the usage of their time in percent to higher level. Add all times spent except the last one, then divide the sum total by 24, then multiply the result with hundred. Thus, determine percentage. It should not be below 50%. ● Gain Knowledge regarding general health, sickness and medical treatment. ● Any subordinate unit must not meet its need until center meets its need like printing central documents, money and security. If subordinate unit violates this rule, that will manifest one-sidedness in thinking and split-ism in organization. ● Each region shall appoint particular comrade to keep account. ● Determine the hindrances in thinking that appear before in the course of accomplishing a work. In order to clear those, first wage ideological struggle on the eve of doing that. To be solely dependent on any single matter while doing any work is manifestation of one-sidedness. Consequently, work will not succeed. First and foremost, it needs to clear the obstacle in thinking because it is thinking that controls work. ● Determine the level of organizational work, that is, which one is principal between on the one hand, level of development of organization or that of its consolidation on the other, armed struggle on the one side and development and consolidation on the other, and determine working method accordingly. ● Work with plan: monthly, half yearly and yearly etc. That is, determine work and timetable. ● Determine criterion of cadres. Various levels will propose necessary criterion for central committee members. ● We are the responsible for success or failure. Organizer is responsible for good or bad of a region. ● To overcome illusion toward old society, first it is necessary to be clear in thinking, persist in to overcome the difficulties and overcome that. Thus, clear errors of thinking and habits of old society. ● Meeting grants the Seventh Communique of the Central Committee. ● Meeting grants the rules and decisions made by the Chairman. ● Members made criticism-self-criticism in the meeting. ● Meeting concluded successfully by fixing the schedule of the next meeting. The unchanged petit bourgeoisie say order and centralism as bureaucratic and dictatorial. It is natural for leadership to get this type of charge. If he/she does not get this type of charge, he/she is liberalist. ▬ Keeping operation sheet etc. ▬ Giving membership/applicant membership/study circle membership etc. ◄ Long Live the National Liberation Front of East Bengal! ◄ Long Live the Armed Patriotic Force of East Bengal! ◄ Long Live the Chairman of National Liberation Front—Siraj Sikder! ◄ Long Live the Proletarian Party of East Bengal! ◄ Long Live other parties that joined front!